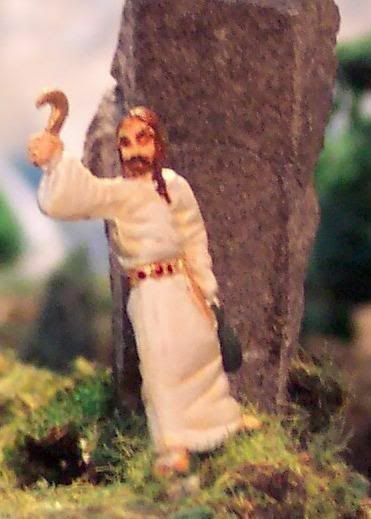 Attached are a few images of the model I built using the Druids from the new Gallic Command kit by HaT. 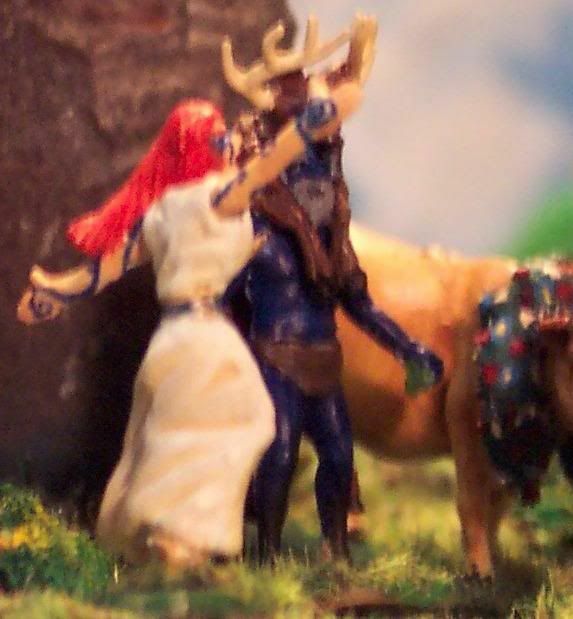 I supplemented the Druids with the 'screaming woman' from the Warrior Queen's Chariot kit painted as a lady Druid. 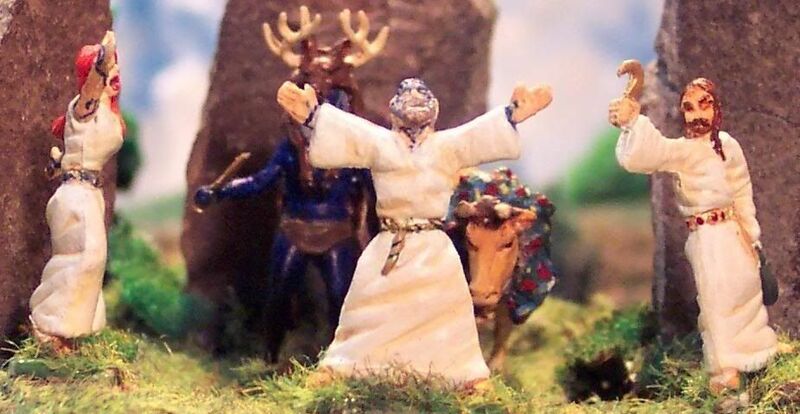 The 'Tarzan' figure from the Jungle Adventure re-issue has become a high priest dressed in the guise of the 'Horned God' of Celtic Mythology. 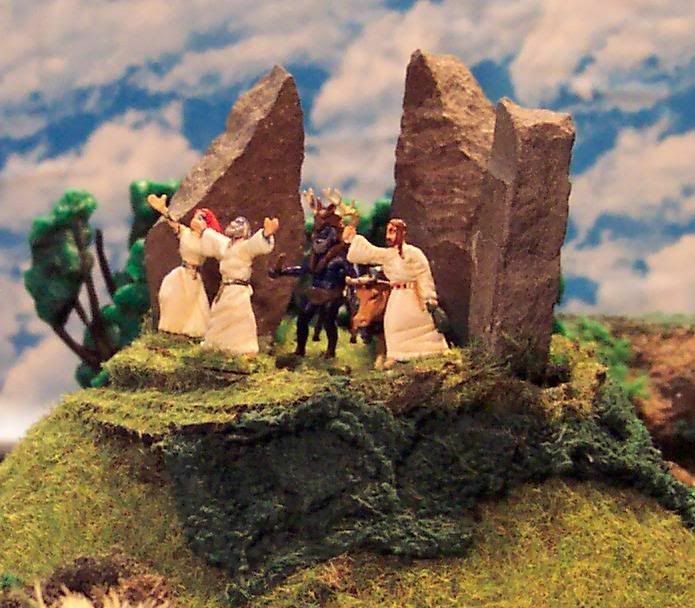 The cow is from another manufacturer; the stones are real granite slate from my yard. 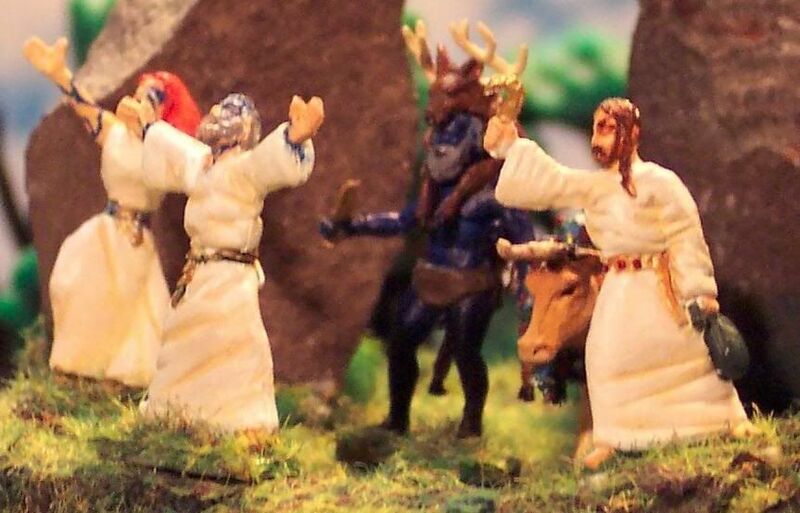 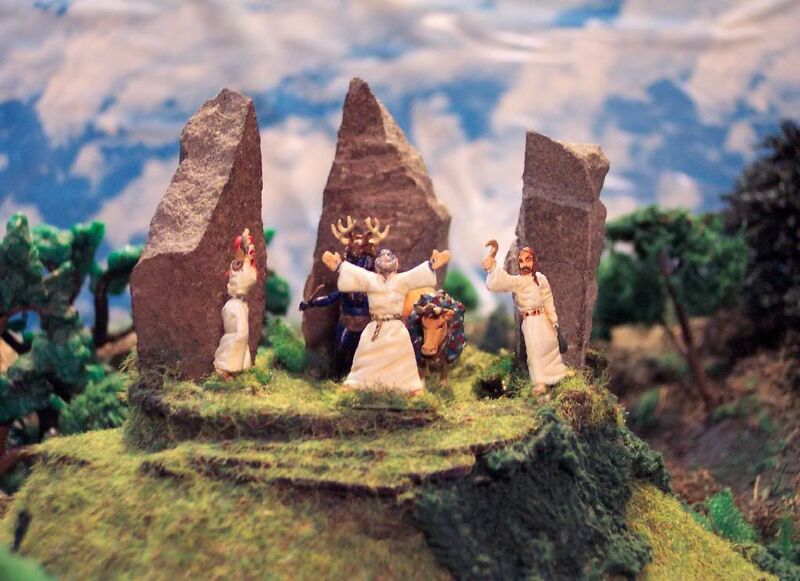 While the exact details of the Druid religion are mostly lost, as suggested by the classic rock parody quoted above, historians have managed to piece together enough that I would consider this model to be fairly accurate. 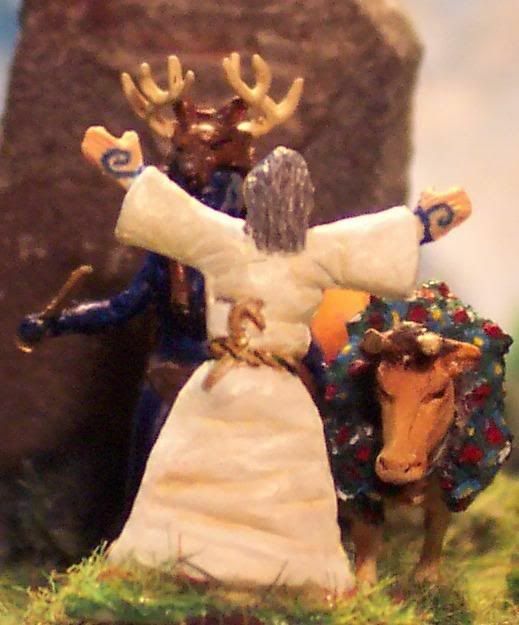 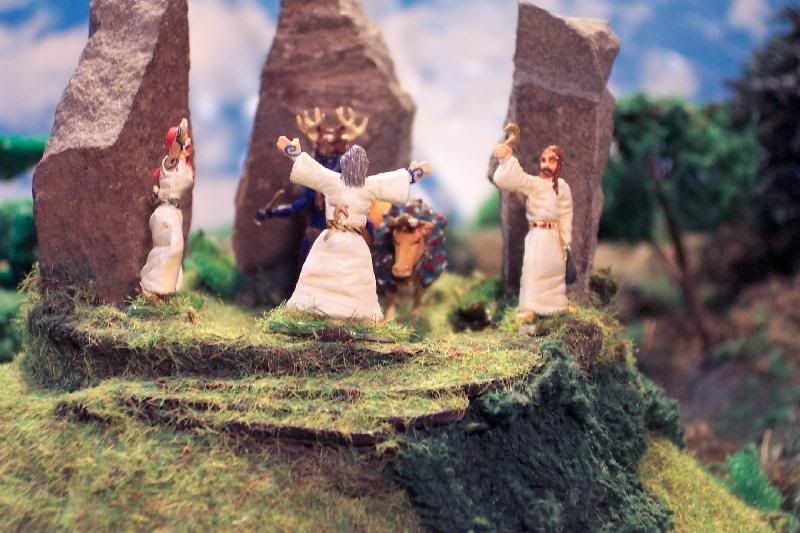 In contemporary Pagan religions such as Voodoo, Santeria, & Animism it is usual for senior priests to assume to the identity of a deity or spirit during rituals; the Arthurian legends describing the madness of Merlin and his transformation into a stag might very well reflect similar beliefs and practices among the Ancient Britons.